Shop Jewelry Collections by Stone. Comprehensive selection of Native American Artisan made Nevada Dry Creek Turquoise Jewelry to compliment any Style or Budget. 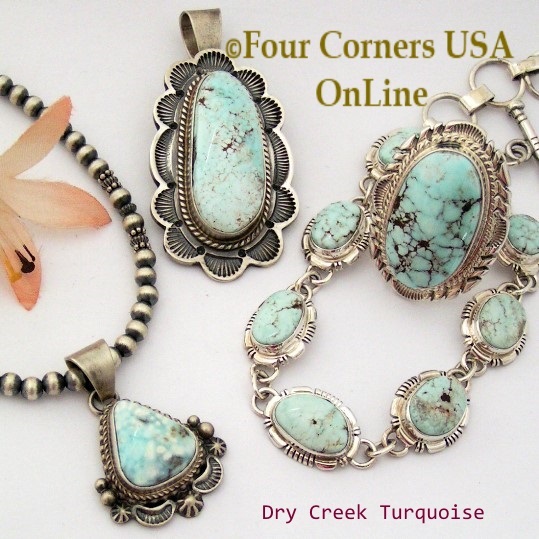 Beautiful varied assortment of Dry Creek Turquoise Earrings, Pendants, Necklaces, Jewelry Sets, Cuff and Link Bracelets.